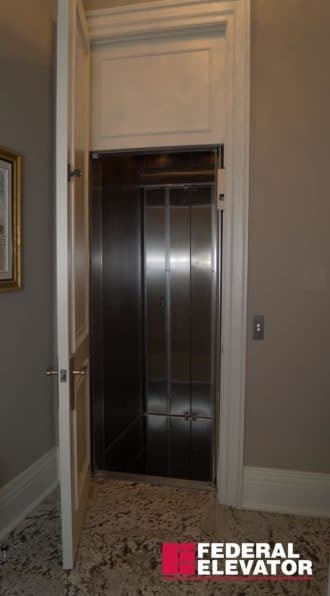 Is your home elevator height lower than your door heights? 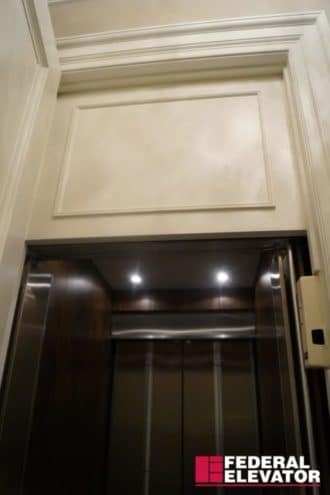 Hide the elevator equipment from sight by adding a fascia at the top part of the door frame. The fascia should be added at the time that your contractor installs the door frames on every level (schedule this after elevator is fully installed). Keeping this feature within the small area of the door frame will ensure that it will not impede with the interlock (safety device on every landing) or the home elevator itself. The homeowner of the project pictured here choose a light material matching the colour of their door frames and added a molding detail which complements their beautiful surrounding home decor.